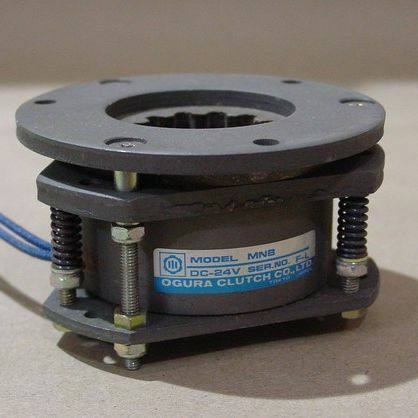 Ogura's MNB Electromagnetic Spring-Applied Brakes are designed and manufactured to manage and stop heavy-duty loads. 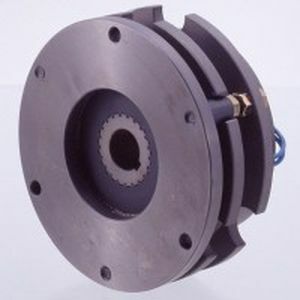 These brakes' designs also enable short shaft-design installation capabilities, due to the mounting surfaces on the inner drive sides. They feature RNB units that are available in 2 voltage configurations: 90 V DC and 24 V DC (other voltage rates are available upon request). They also sport adjustable torque levels over a wide array of calibrations, by means of adjusting bolts. Other features of the MNB Series include integrated holes within the units, designed in order for bolts to be inserted for manual release applications. 1.5 to 590-lb.ft energy levels, and rotational speed values of 4,000 rpm are also showcased.